We pride ourselves on bringing world-class contemporary art to our border community, but also in providing an important platform for understanding the world around us, building spaces for celebration and sharing stories, and creating opportunities for audiences from both on campus and off to unplug and reconnect to one another and to the world around us. We are grateful for the core support we receive from The University of Texas at El Paso, and for ongoing support from state and national organizations including the Texas Commission on the Arts, the National Endowment for the Arts, and the Warhol Foundation for the Visual Arts. But in recent years it’s our local donors who are really making a difference. Through both donations and active participation in exhibitions and events, our local supporters allowed us to serve more than 11,000 visitors this past year, raising our profile locally, nationally and internationally and helping us become the place where contemporary art meets contemporary life. continue to be a site for interdisciplinary gallery-based learning and community conversations about topics that matter to our border region including 2017 exhibitions and programming that addressed the Dream Act and DACA recipients through Erika Harrsch: Under the Same Sky; climate change and our natural environment in Suzi Davidoff: Simplified World and Zeke Peña: Reclaim; the changing face of America in George Rodriguez: Where is Our Exile; and violence, women’s rights and human rights through Teresa Margolles: We Have a Common Thread, Tangential Intimacies and Lise Bjorne Linnert: Desconocida, Unknown, Ukjent. In this project, and in all that we do, we count on the active engagement and ongoing support of the border community. 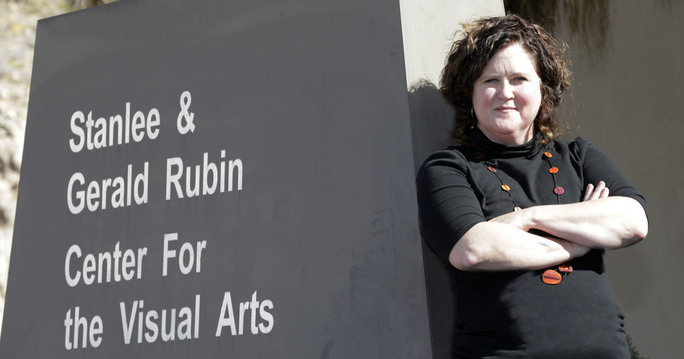 Thank you for continuing to be a part of the Rubin Center, the place where contemporary art meets contemporary life.